Why Corporate Training is Critical for a Business? The answer to your musings is quite simple – train them well and keep them suitably engaged and they WON’T leave your firm! And oh! The returns on a well-trained employee far exceeds the monetary spends. The industry has sure bought into the concept of employee training, and how. Research by Deloitte suggests that the US spending on corporate training grew by 15% in 2013 (highest growth in seven years) to over $70 Billion. Encourage loyalty: Employees will be more loyal to your company if your care for their personal growth and development; no matter how small or large your organization. A 2013 survey by CareerBuilder states that 35 per cent employees feel that increase in on-the-job training and development opportunities is a strong reason to stay loyal to their company. Better performance levels: If your employees receives the relevant training, they will be able to deliver better results and thus improve the company bottom-line. Ensure consistent sharing of information: All your employees get equal access to information, pertinent to the business, through the training sessions. 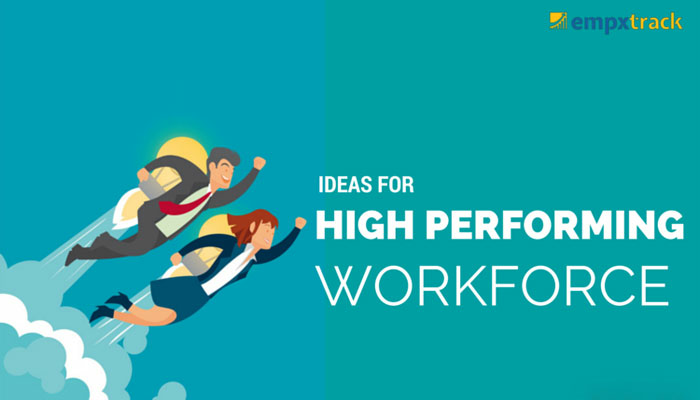 Allow you to hire from a wider talent pool: An effective training program allows your organization to hire a wider range of employees, and then develop them over a period of time, rather than looking for exact talent matches. Allow you to maintain a competitive edge: Through employee training, you keep a company competitive by keeping your people up-to-date with the ever changing business needs, skills requirements, and complex external environments. Requires you to supervise less: Well-trained staff members need less supervision, hence fewer man hours go to waste. You need to identify your company’s employee training and development needs, at least once a year, and then give them the relevant training sessions. It is important for you to analyze these training needs under different parameters. This is because, identifying and targeting the wrong skills can make it difficult for employees to meet their business goals. Also, ineffective learning programs result in huge expenses, frustration and little or no benefit to the organisation. Organizational Level: At this level, the need is to impart training to meet the company’s business objectives. Every organization requires a critical set of core skills for its survival and you need to fill any gap in this space with relevant training modules. You may often find your company’s employee core skill-set is low because of attrition, addition of new employees or geographic and functional growth. Training modules can thus focus on improvement in areas such as leadership, career or a certain subject area. Job Role Level: Here your employee need is for training, at the team level, to better performance. For example; you can give training to your entire team on a new compliance-related process, or a new technology at work. These sessions help the group of employees work together at the basic expected benchmark. Personal Level: Your employees will need training to perform well in their individual job roles, which you can identify at this level. Chances are that you need to regularly train or re-certify employees based on compliance needs. The skill gaps identified during the annual appraisal helps identify specific weaknesses. Each of these can then constitute the relevant training programs for your people. Once you identify the training needs, you need to then consider how to impart the training sessions. Since external trainers are expensive, you may like to fit in as many employees in one training session as possible, and this will need quite a bit of planning and scheduling. Also, you may adopt on-the-job-training (OJTs) or Computer based training (CBTs) on an as-required basis with more flexible timelines. While imparting corporate training, it is important to gain the feedback of trainers, trainees and managers; on a periodic basis. This is critical for checking the effectiveness of the training program.